The Housing Choice Voucher program (formerly Section 8), helps low-income families, individuals, seniors and people with disabilities pay their monthly rent in privately owned apartments or houses. SHA provides assistance to rent with any eligible landlord in Seattle through its Housing Choice Voucher program. Registration for the Housing Choice Voucher waitlist is currently closed. 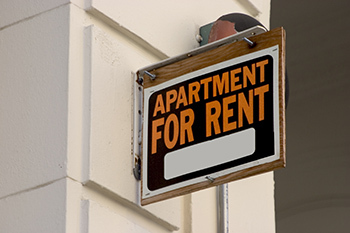 Participants in the program receive a housing subsidy in the form of a voucher that they can use to rent a unit from any landlord in Seattle who meets the requirements. Households in this program typically earn 50 percent or less of area median income (AMI) to qualify, and pay the portion of rent and utilities not covered by the voucher— typically 30 to 40 percent of monthly income. Voucher programs include Veteran Affairs Supportive Housing (VASH) which provides a subsidy and supportive services to U.S. veterans and the Family Unification Program which assists families facing separation or youth aging out of foster care. Seattle Housing Authority's Housing Choice Voucher program will, upon request, provide reasonable accommodation to help ensure that no otherwise qualified individual with a disability is excluded from participating in, or denied the benefit of, any agency program. If you are Porting in from a Housing Authority that is part of the Declared Major Disaster areas please contact the Portgroup@seattlehousing.org with your information and questions. HUD encourages you to register for FEMA assistance if you have not done so already, for more information go to http://disasterassistance.gov.